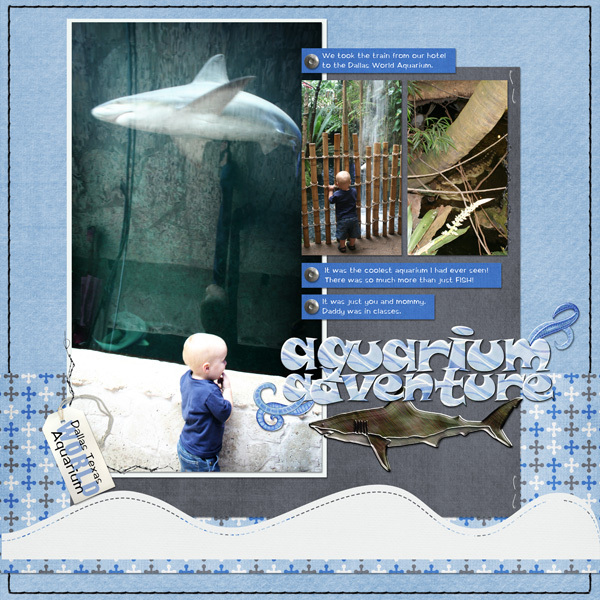 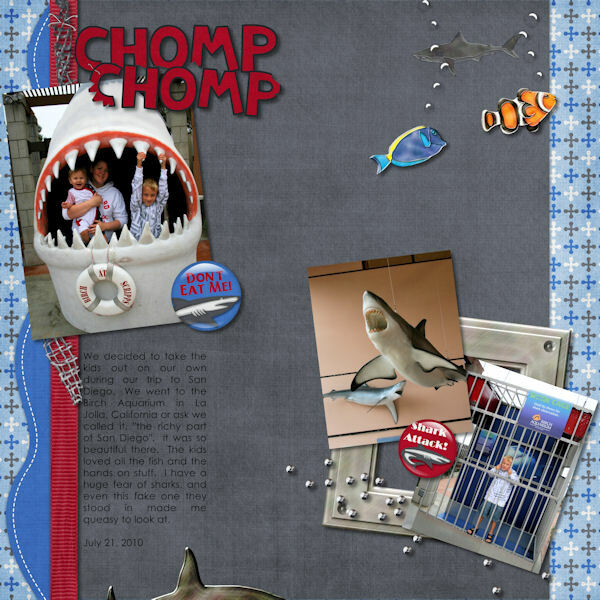 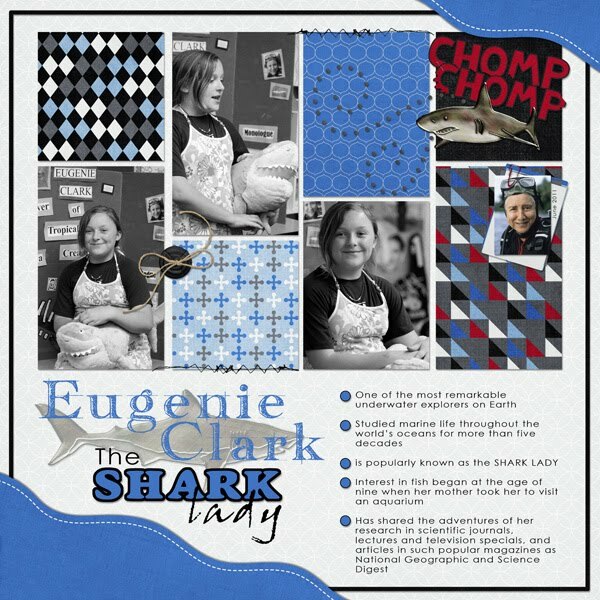 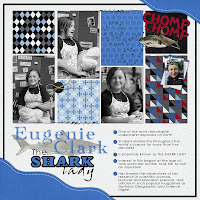 As a special request, designers Lori & Heidi (aka Scraps N Pieces) created a great kit for a little boy who loves sharks. 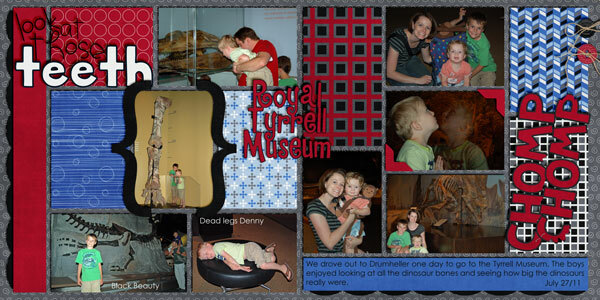 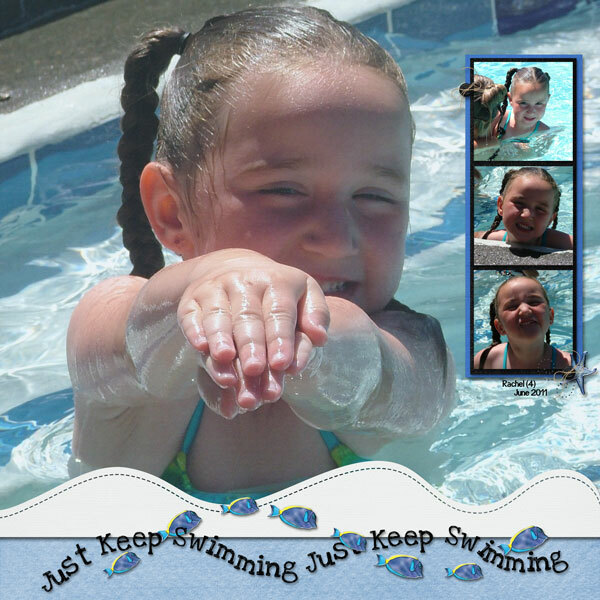 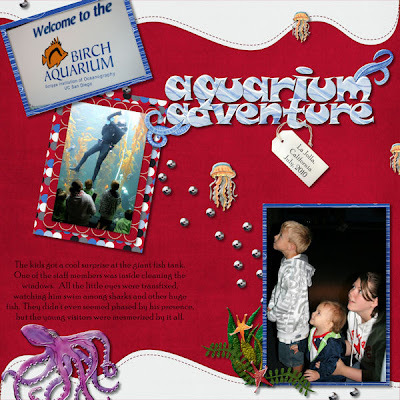 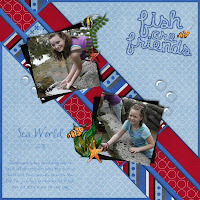 Deep Sea Adventures was born and works great for all your Sea World, Aquarium, dinosaur museums, the zoo, even swimming/beach photos. 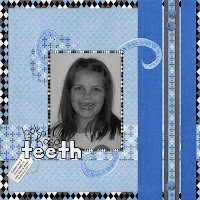 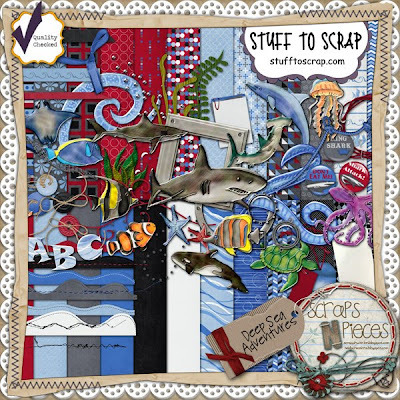 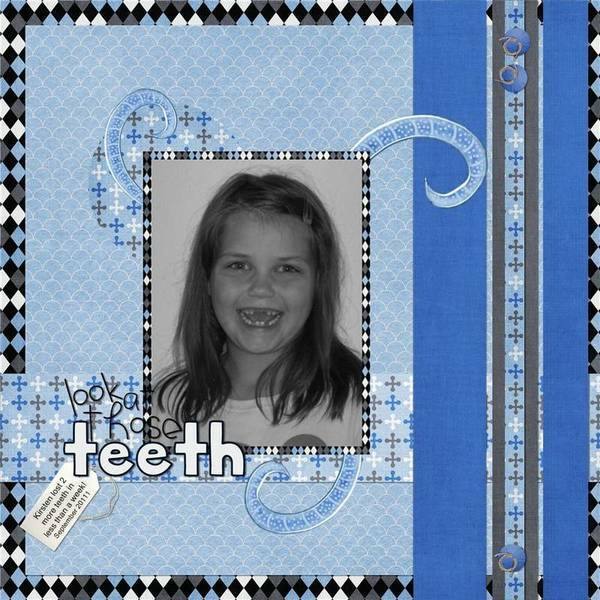 The kit will be 50% off for a week, and is available at Scraps N' Pieces, My Memories, and Stuff to Scrap. 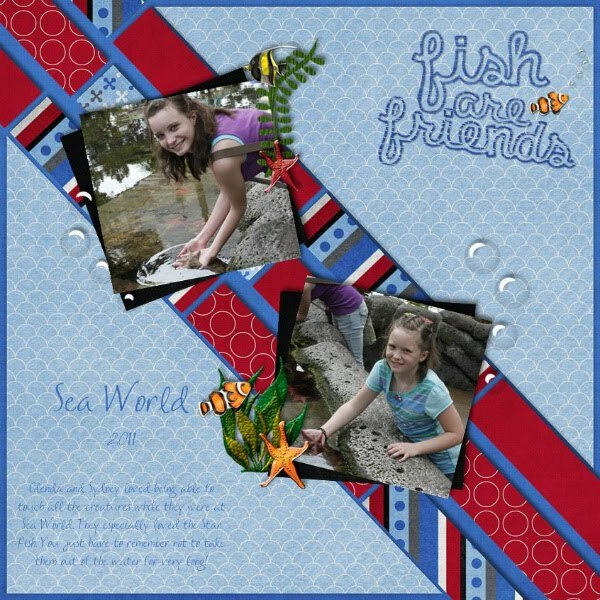 I couldn't miss out on a fun opportunity to make some great word art, so we collab'd together and I created this fun pieces using the kit. 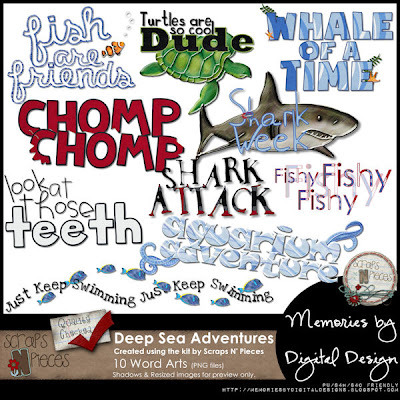 Deep Sea Adventures Word Art will be on sale for $3 for one week. 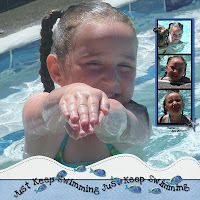 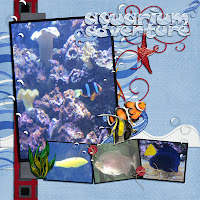 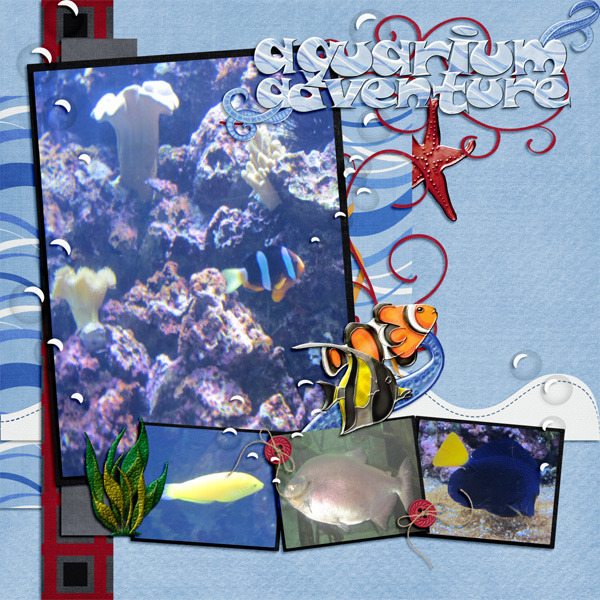 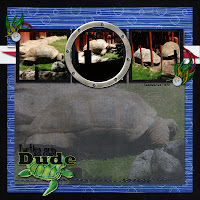 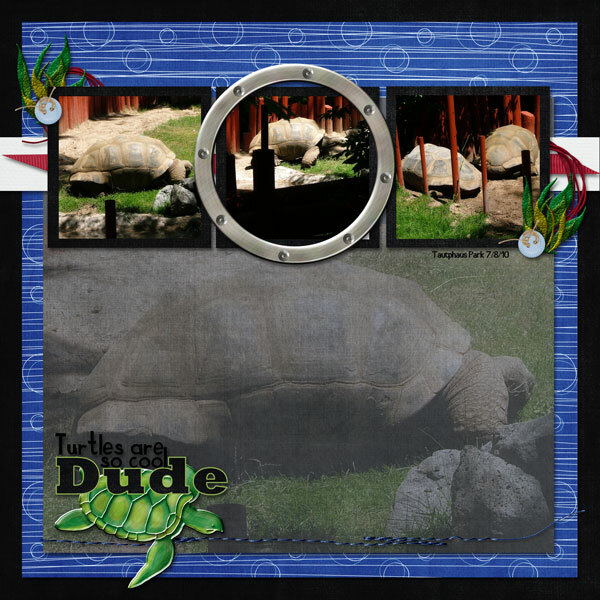 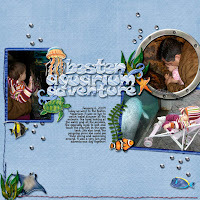 Here's what I created using DSA...I knew right away what this kit/wa would be perfect for - our trip to the Birch Aquarium in La Jolla, California in Summer 2010.